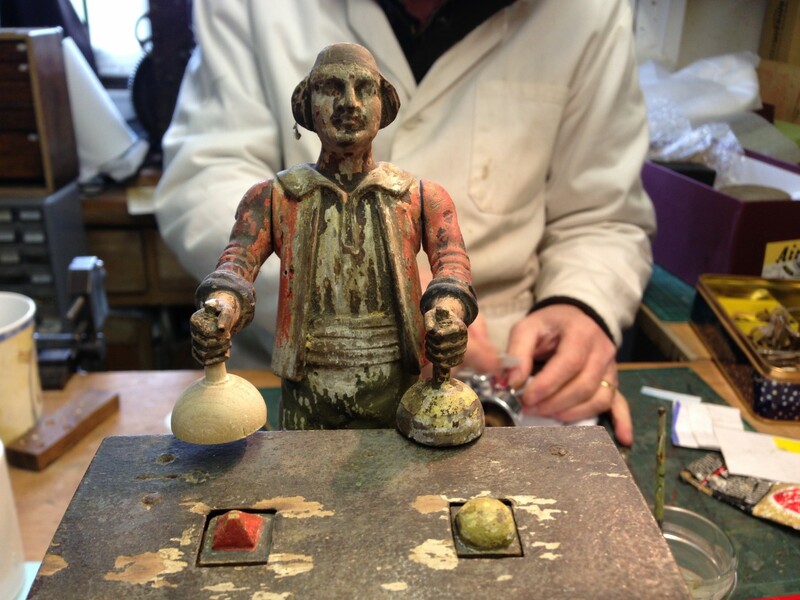 The House of Automata is a specialist automata company run by Michael and Maria Start, an award winning trained Horologist and a skilled Sculptor and Painter respectively We run a busy restoration workshop in Forres, Moray and have a showroom in Edinburgh, Scotland. 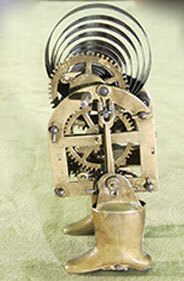 We have in depth knowledge based on 25 years experience restoring and conserving fine automata both antique and modern. Our clients are many and varied and include collectors, auction houses, the media and mu seums. BUYING/SELLING – Automata and Mechanical Singing Birds. HIRE – We hire Automata and Horology to the film industry. TALKS – We present a range of talks & demonstrations. EXHIBITIONS – With a large stock and an important collection of automata we mount our own interactive exhibitions and loan automata to museums and galleries. VISIT - Behind the scenes workshop tour in Forres, Scotland. ADVICE – We are passionate about our subject and are happy to give advice on any automata question, just send us an email with pictures if possible. MORE – Scroll through our Blog or follow us on Instagram. Let us know if you are looking for a specific piece, as we may have it in stock. 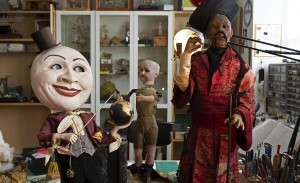 A selection of automata and related items for sale. If you would like more details on any item please ask. Of amazing pictures and fantastic projects. Take a look at some of our finest moments and biggest challenges.